We Won! Brisbane’s Spotless Suburbs Partnership Award! 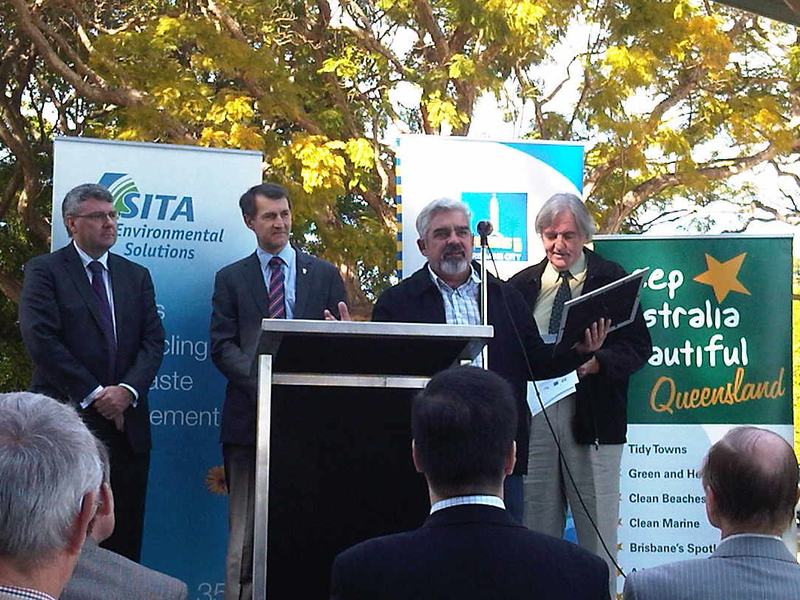 (l-r) SITA representative, Cr Graham Quirk, Michael Fox, Rick Burnett CEO Keep Australia Beautiful Qld. Brisbane Lord Mayor, Cr. 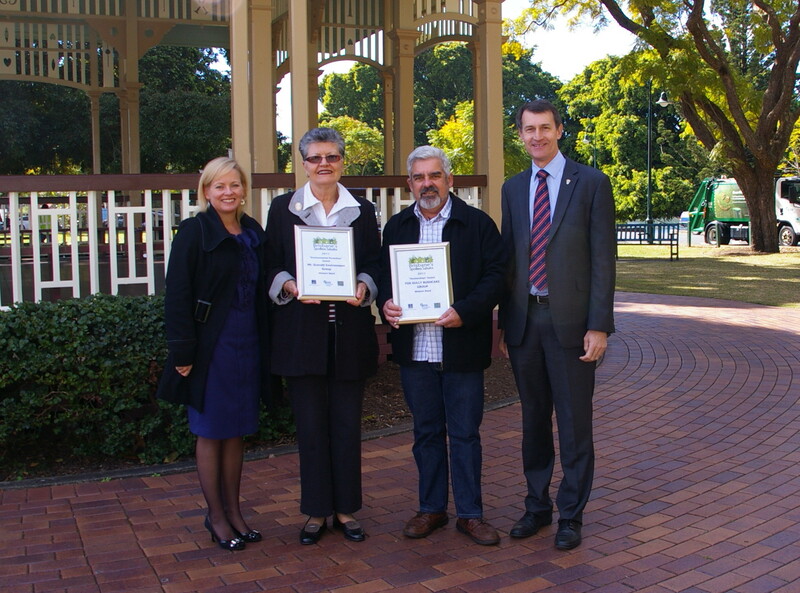 Graham Quirk today presented Fox Gully Bushcare with the Brisbane’s Spotless Suburbs Partnerships Award. I was proud to represent our community at New Farm Park for the Awards but a little surprised to when called up to receive the Partnership Award. I shared our achievements and plans with judges John and Lou Carothers when they inspected our site in May. Clearly our efforts to actively engage community members, community organisation and business groups made a powerful impression. Partnerships that enhance community wellbeing and pride in their community. Partnerships that result in materials and resources for activities to keep the community clean. Partnerships to manage litter and cleanliness in local facilities, e.g. playgrounds, amenities, car parks and public open spaces. Our Mountain was doubly honoured as Sue Jones and I also accepted the Environmental Protection Award for Mt Gravatt Environment Group. Join our Mt Gravatt Bush Blokes on Tuesday afternoons in Fox Gully and see what the fuss is all about.